In the year of the 70th anniversary of his death, the memorial to English comedian Will Hay has been restored and refurbished. The grave stands in Streatham Park Cemetery, Rowan Road, Streatham, London. 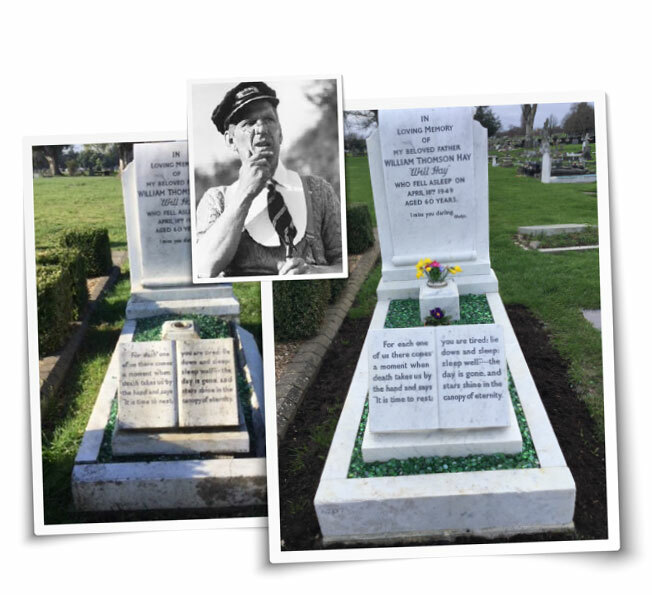 In recent years the imposing memorial had fallen into some disrepair and the Will Hay Appreciation Society with the blessing of the Hay family engaged Grave Care International to refurbish and restore the site. Will Hay (1888-1949) was the top box office star in Britain in the 1930s and is widely considered to be one of the most prolific and influential British comedians of all time. He is, perhaps, best remembered as a dubious schoolmaster in the classic comedy films Boys Will Be Boys (1935) and the bungling railway stationmaster in Oh Mr Porter! (1937). Will was a resident of Streatham and commanded much respect as an astronomer. Grave Care International Ltd has acquired the business of Grave Concern, a family business that has been trading for 20 years in Essex and along the M11 corridor. The proprietors Colin and Linda White decided to take a well-earned retirement and chose Grave Care International to entrust their long-standing clients with. 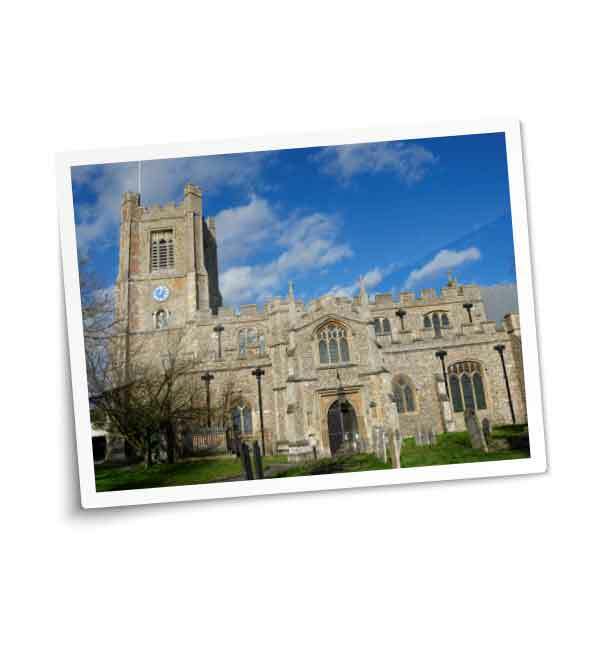 Colin and Linda will remain as consultants to Grave Care to ensure a smooth hand-over and continued advice and insight. © Grave Care International. All rights reserved. Company number: 09921919.